According to reports, BlackRock Inc.’s Asia Square Tower 1 have attracted strong interest from various bidders, which includes Norway’s sovereign wealth fund. 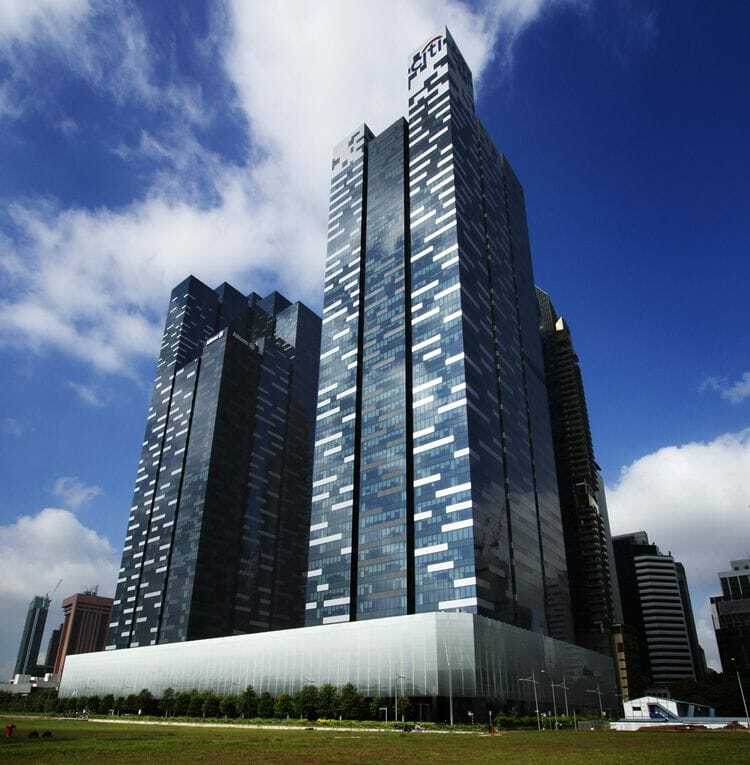 Situated next to prominent residential Singapore condos such as Marina Bay Residences, Marina Bay Suites and the upcoming Marina One Residences, Asia Square Tower 1 is a high-rise commercial building situated in the heart of the well-known Marina Bay Financial District. Among the bidders for this office tower (which possibly have a valuation worth more than SS$3.5 billion) are also mega property developers such as CapitaLand and Keppel Land as mentioned by undisclosed sources and a deal could be concluded within the next 2 months. Current “owners” BlackRock mentioned earlier in 2015 that they have received plenty of interest for this Singapore office tower and could potentially fetch above S$4 billion as it consist of major tenants such as Citigroup. As mentioned by the managing director of BlackRock, Mr Greg Lapham, the firm may also consider selling Asia Square Tower 2 (which brings the total value of the 2 towers to an approximate value of S$7 billion), and the sale could possibly be a leveraged buyout which involves 2 or more equity firms or funds. Being claimed by BlackRock as a high-quality asset which is one of Asia’s best property developments, it’s of no surprise that this office tower collection has attracted such massive interest. Asia Square Tower 1 Event Launch Video from Lights & Shadows on Vimeo. The wealth fund from Norway was reported to be one of the world’s biggest fund, said to have mainly gained capital from their country’s production of gas and oil. In March 2015, the firm has mentioned that they were preparing to make their first real estate investment in Asia and Tokyo or Singapore is on top of their shortlist. On the other hand, CapitaLand is a renowned developer in Singapore with plenty of projects ranging from residential homes, offices and mega shopping complexes etc. Similar to CapitaLand, Keppel Land have also been rather active in Singapore’s commercial office segment. Although office rents have gained new heights in 1Q2015, but according to analysis from Cushman & Wakefield Inc, the rent for Grade-A offices in the Central Business District (CBD) of Singapore could possibly decline by 14% over the next 2 years from S$10.60 psf per month, to S$9.12.